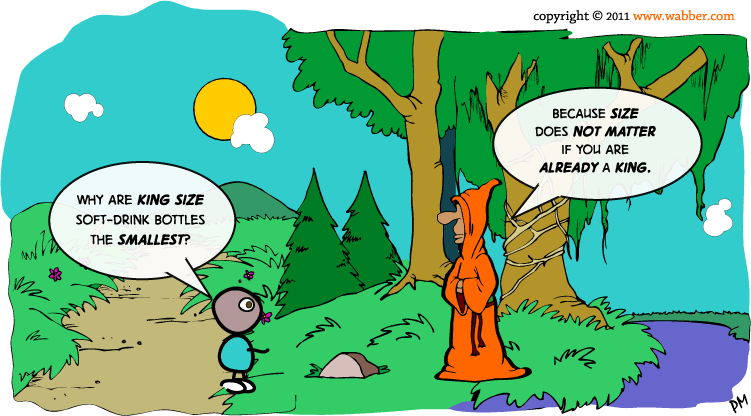 Mntolo from Swaziland asks the Guru: Why are King Size soft-drink bottles the smallest?. The Guru, as always, replies with great insight revealing more about the universe than expected. As the Chief Llama later explained, one should always look at the ends when considering the means. Money, power, bottle-size are all a means to an end – that ultimately answers the question whether or not size matters.